This site is undergoing substantial modification; we ask your patience as you go through it at present. 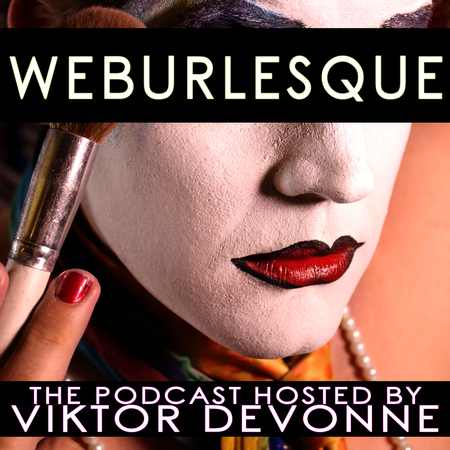 Celebrating its twelfth glorious year, White Elephant Burlesque Society is a theatrical, fully realized inner circle of talented and ambitious burlesque performers. Each of them a headliner, WEBS members perform for audiences with an array of skill and talents. Our tongues are firmly in cheeks, our bosoms tightly in corsets, and our toes are a-tapping. We aim to bring the symbolism of freedom, joy, romance, sexuality, and theatrics that captivated the audiences of the original vaudeville and burlesque ages to the modern. 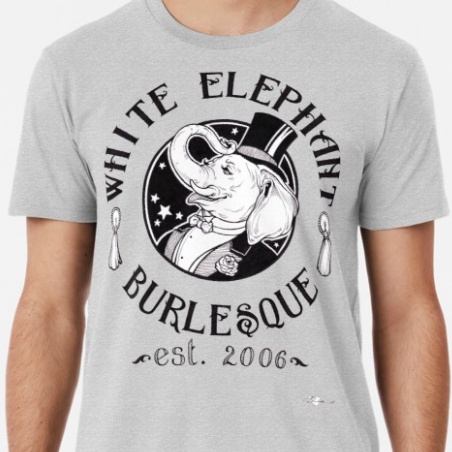 A cornerstone of the White Elephant is their innovative concept show, with past productions referencing Alice in Wonderland, a haunted hotel, Grimm’s Fairytales, the Seven Deadly Sins, video games, a mad toy inventor, and even William Shakespeare. White Elephant Burlesque, est. 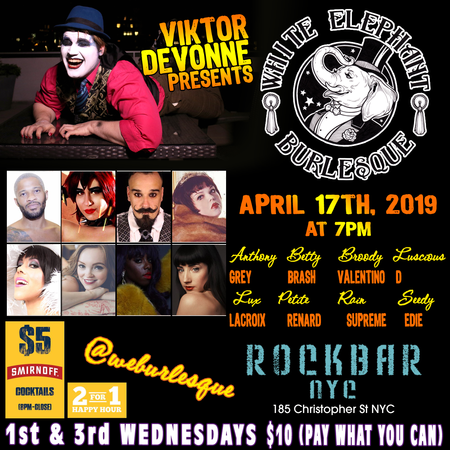 2006, was created by Viktor Devonne and Femme Fae la Butche and is presently performing weekly at Rockbar NYC on Christopher St under the direction of Viktor Devonne -- and at conventions, events, and special occasions across the east coast.